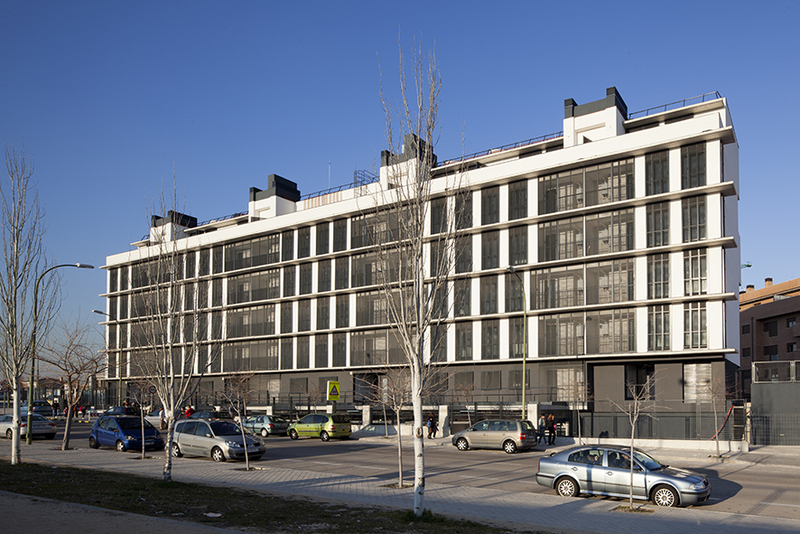 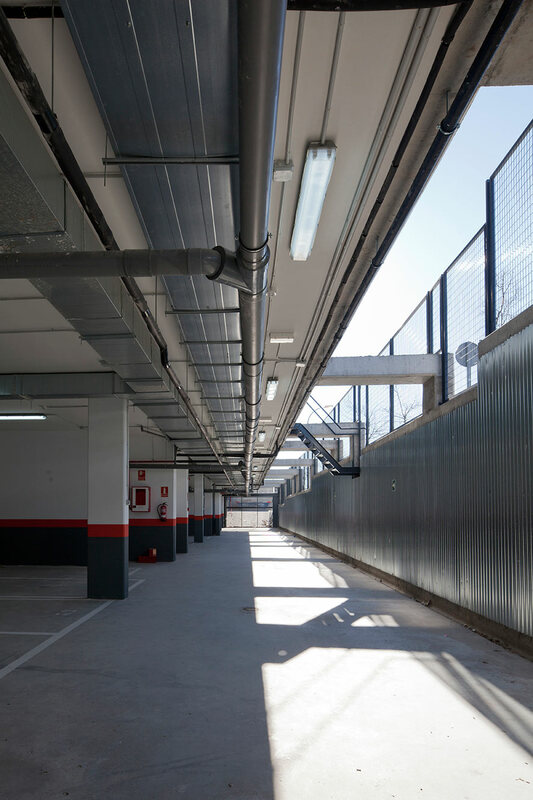 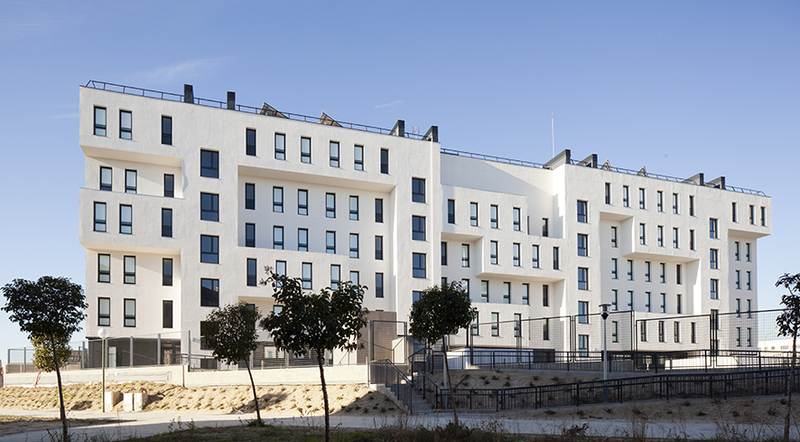 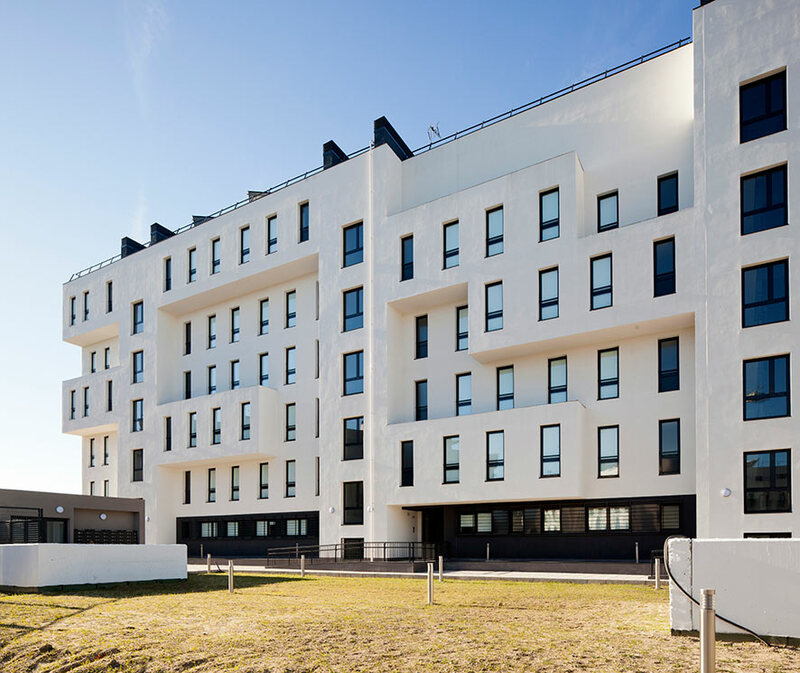 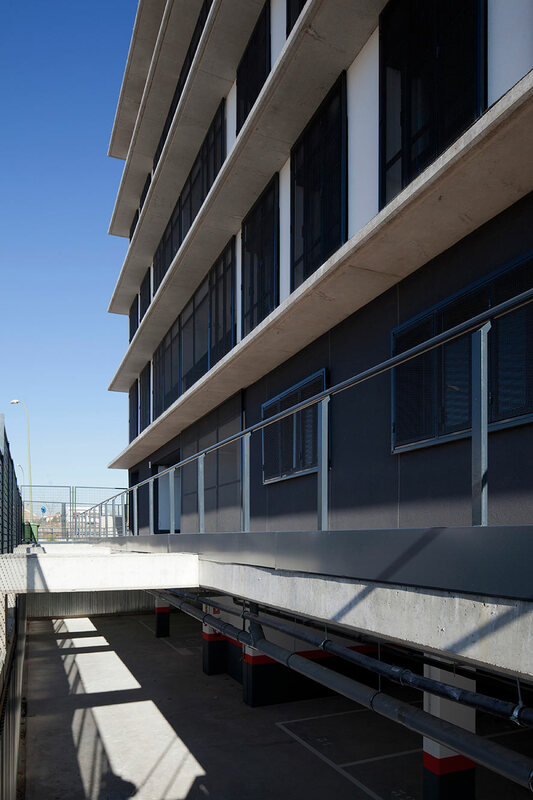 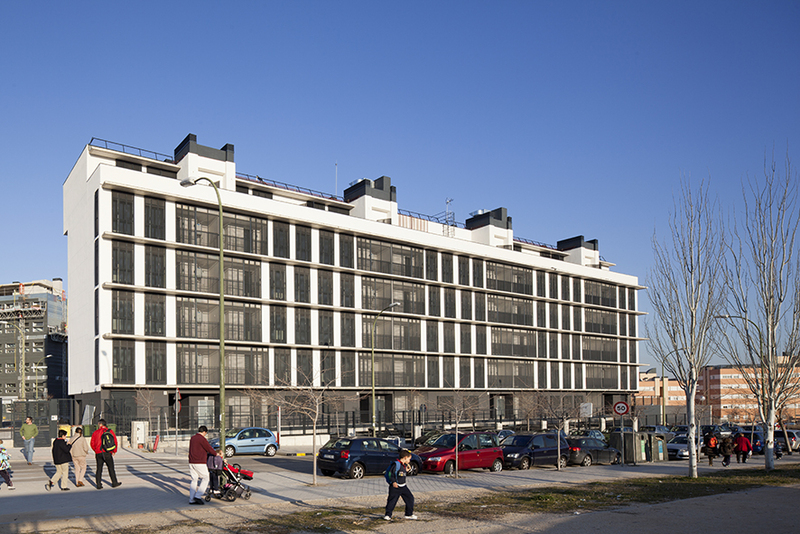 The building of 42 social housing is situated on a triangular-shaped plot in the new district of Barajas, plot that results from the intersection between the diagonal street at south-western part of the new urban extension and the characteristic and orthogonal urban grid. 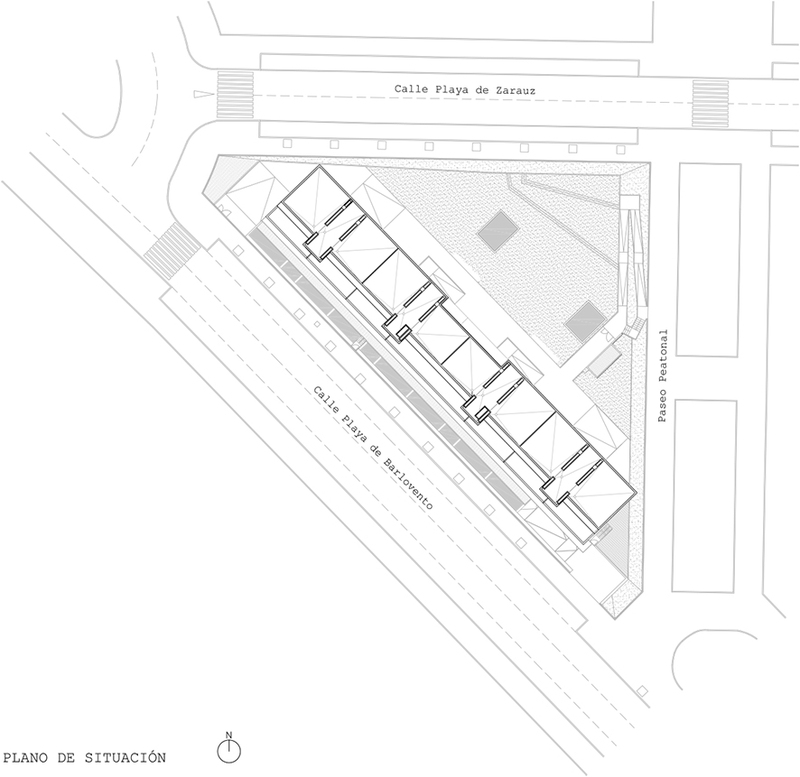 This intersection generates half-surfaced plots that are located in edge position. 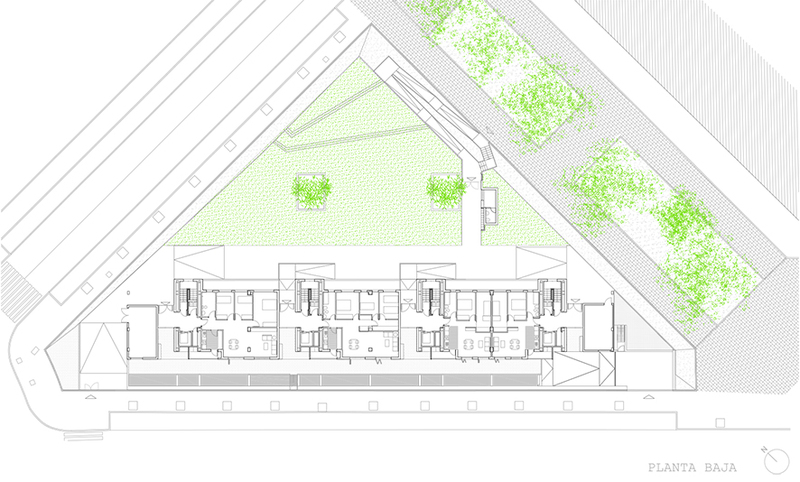 Although L solutions were possible, the project proposes a single linear piece parallel to the main access road, freeing up as much space as possible for the back garden. 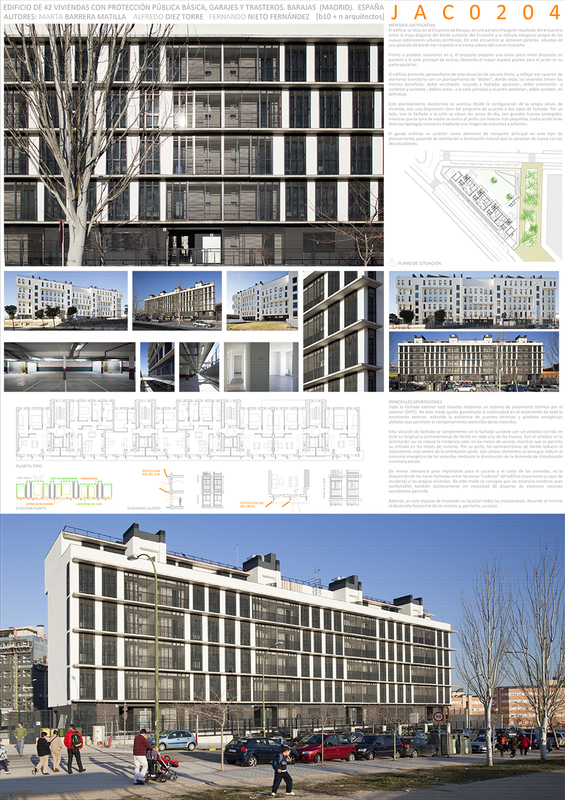 The building pursues to take advantage of this boundary situation between the urban expansion and the adjacent semi-detached housing, and reflect somehow that transitional character with a “double” approach where all dwellings have the same benefits: double cross ventilation with opposite facades, double orientation to northeast and southwest, double views to the main street and the back garden, double character in the end. 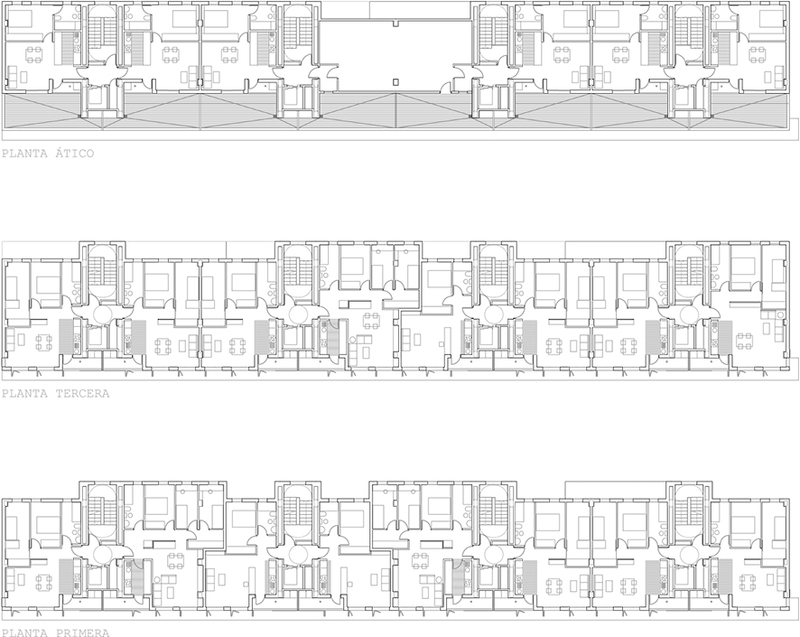 This dichotomous approach is emphasized from the configuration of the domestic cell, with a clear program layout according to two types of facades. 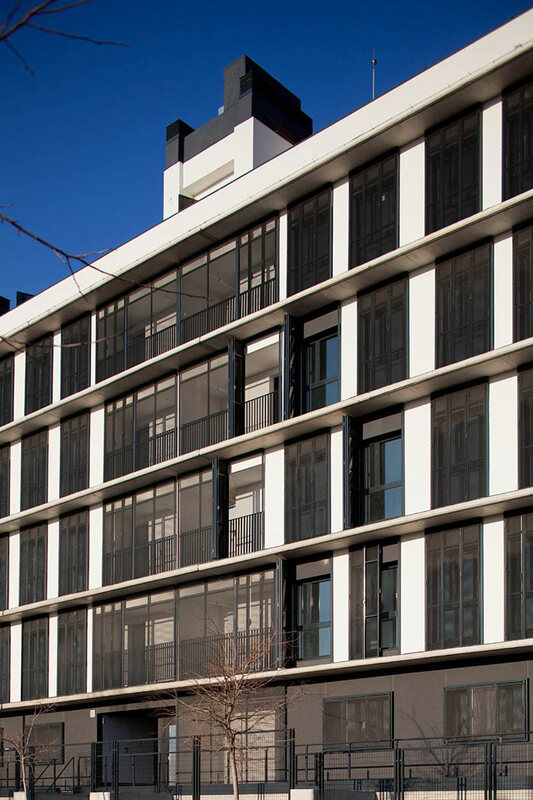 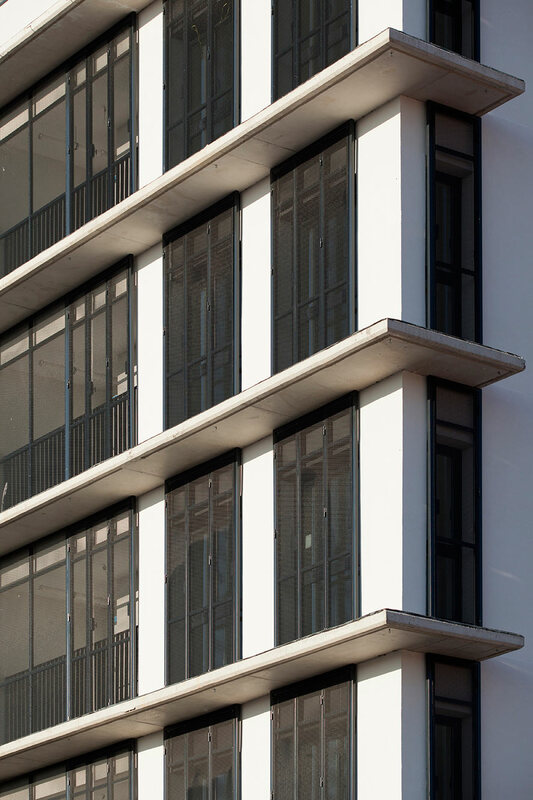 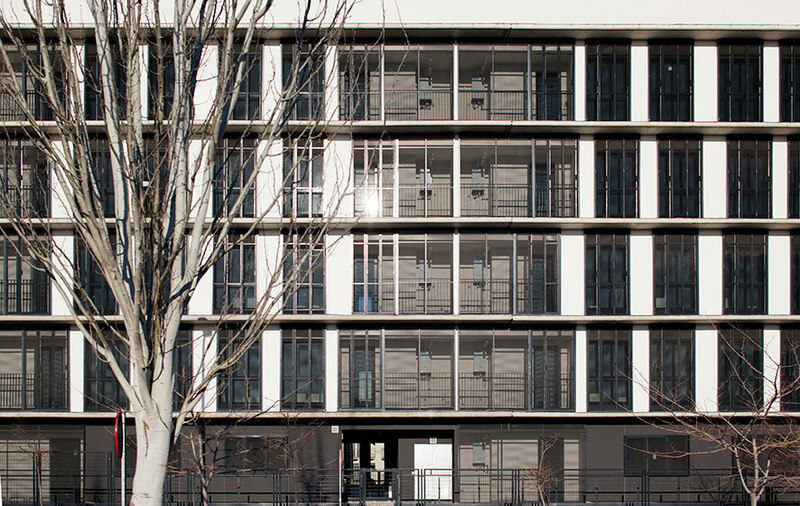 On the one hand, behind the facade to the street, daytime areas are located with large windows protected by cantilever slabs for solar protection in summer, and a system of booklet opening shutters. 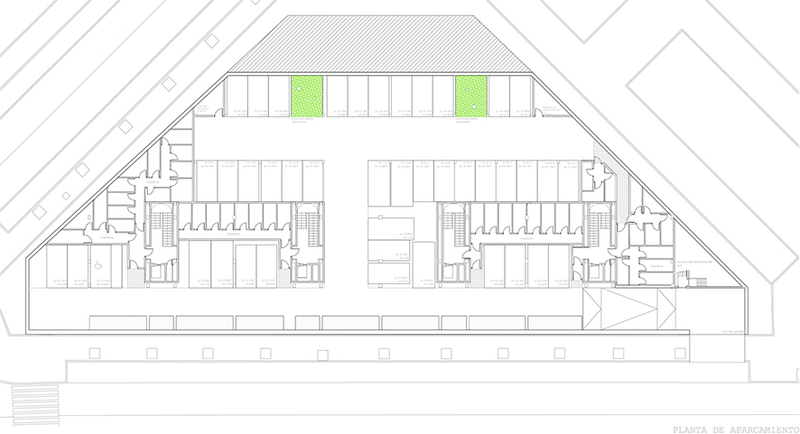 On the other, the night time areas are faced to the back garden with smaller vertical windows, where the facade translates different dwelling types in a mixed appearance of incoming and outgoing volumes.